Two exams down, two to go! We've zoomed into June and I can't actually believe how fast time has gone. 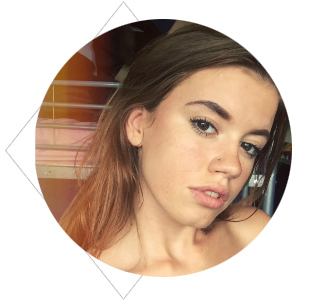 Next week I finish college for good, which is a little scary as it only feels like yesterday that I was starting. A brand new chapter of my life is about to start in September when I leave home and go off to uni. I'm so excited and can't wait to start a new adventure, however I also feel like time is running away from me. Everything in my life is moving so fast and I almost want it to just slow down for a while, so I can breathe and embrace every moment. Sometimes its so easy to just get through a day without really thinking about what you're doing and not appreciating what's around you - time is going so fast, its hard to take a moment amongst the madness to take take in whats around. This summer I'll be doing my very best to appreciate and embrace every moment. On another note, as we have jumped so speedily into June, I decided to buy some new bathroom treats to start the month. 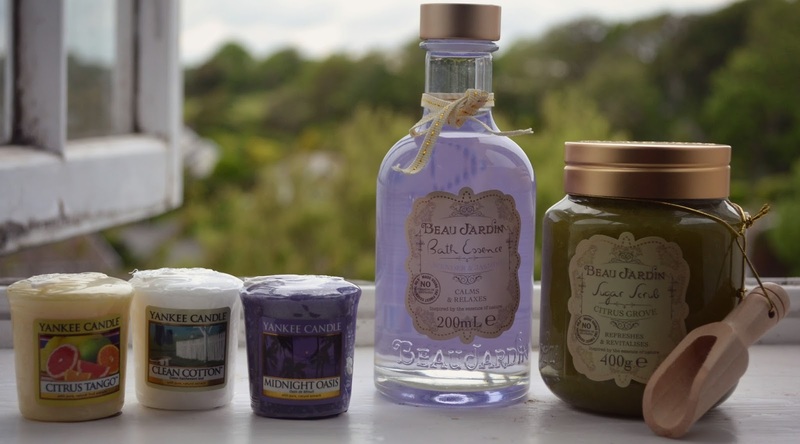 As we all know, I love nothing more than candles - I am a self-confessed Yankee Candle obsessor. I've tried so many different scents and am always buying more samplers to try and test. 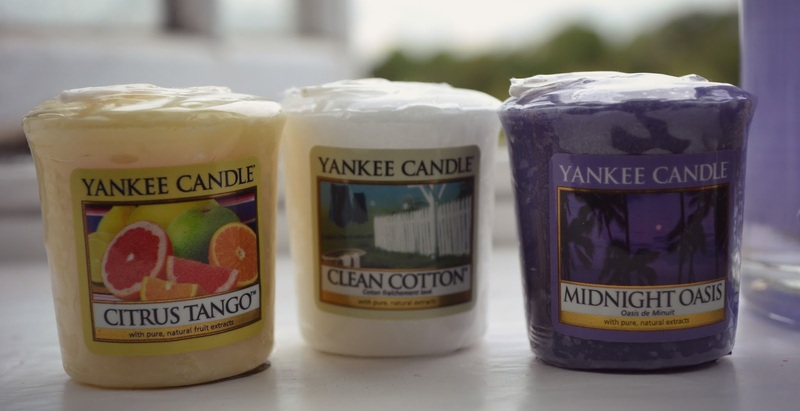 My latest three Yankee Candle votives are Citrus Tango, Clean Cotton and Midnight Oasis. The Citrus Tango scent is described as a 'lively, playful melody of sunny oranges, lemon zest and grapefruit' - perfect to get me in the mood for summer. Clean Cotton is one I have bought before - I'm so in love with this fresh, comforting smell! Described as 'sun-dried cotton combined with green notes, white flowers, and a hint of lemon', this is honestly one of the nicest Yankees I've tried. Thirdly, Midnight Oasis was a bit of wildcard as I usually go for more lighter, delicate smells and colours. However, after reading 'across quiet sands, a midnight breeze mixes with island citrus and warm sandalwood' I just had try this mysterious little scent. I'll let you know how I get on! 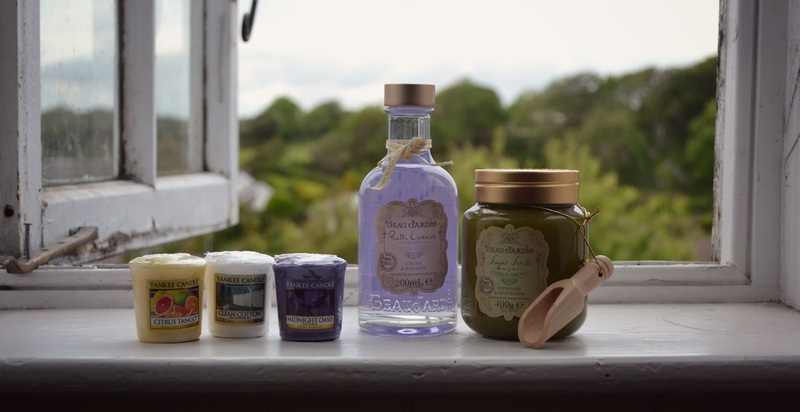 I find the Yankee Candle Votive Samplers perfect as they are a gorgeous little size and look really pretty dotted around your bedroom or bathroom. 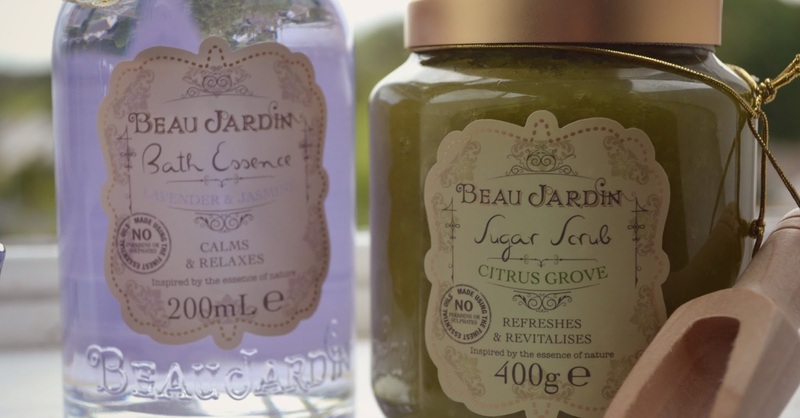 I also bought the Beau Jardin Lavender & Jasmine Bath Essence and Citrus Grove Sugar Scrub. I've used the Citrus Grove sugar scrub before and have to warn you all that it leaves your skin in a delicious condition. The sugary texture exfoliates skin and leaves it feeling super soft and smelling really yummy. It also comes with an adorable miniature shovel which you can use to get out a small portion of scrub. I've never tried a bath essence by Beau Jardin before so I'm excited to pop this bad boy in my bath! It claims to 'calm & relax' so will be for perfect after long shifts at work or a stressful exam. I love the delicate smell of jasmine and the calming smell of lavender so I can't wait to delve into this sleepy relaxing scent. What are your current bathroom favourites? I love candles! Good luck with your last few exams! I love the sound of the sugar scrub. I miss the product I used to use from Lush which was discontinued. Ooh Lush is another one of my favourite places for bath treats! I adore the bubble bars and bath bombs. There's a scrub that I also use from Lush which is featured in another post (I'm afraid you may have to sift through!) and it's absolutely fab as well. you can't beat Yankee candles, I love the vanilla cupcake one,it smells amazing! Yes, they are very very good! Wait until you get a smell of that sugar scrub - it's very hard to put back on the shelf. You've been warned! Thank you Ickle Pickle, your mummy has good taste!